This is my sixth Mother's Day. It might be my seventh. I have weird memory and if I recall correctly, I was ovulating Mother's Day weekend in 2003--the month I got pregnant with Miss Rose. I thought I had done a good job of capturing photos of me and my children each Mother's Day. I thought wrong! Perhaps other family members have photos they took, but I don't have as many as I recalled. We lost several months worth of photos about four years ago. Including a photo of my first Mother's Day (2004). There is a hard copy of it somewhere. Which is of some comfort. I didn't look back to check the exact date, but Miss Rose was dedicated in May 2004. So these photos are circa-Mother's Day. I actually remember being in church on my first Mother's Day because they were sending a pastor to get Starbucks drinks for various moms who qualified in different categories. I had the youngest baby, so partway through the service I had a caramel macchiato in my hands! In 2005, we took my Grandma out the day before Mother's Day. In 2006, we, well, I don't know. But I did find this photo from a week or two before Mother's Day. 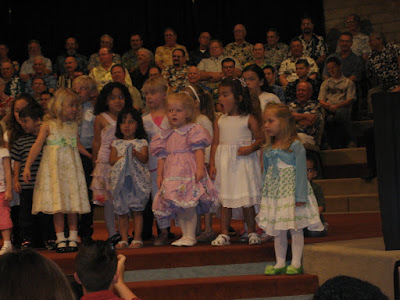 Miss Rose sang her heart out in church that morning as a treat to the moms. 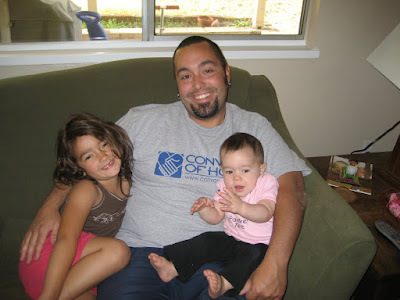 I guess in 2008 I thought it would be cool to take a picture of Bean and the girls on Mother's Day. From what I can tell, this photo was taken on Mother's Day...but I can't find any photos with me in them! The life of a mom....always behind the camera! Last year Mother's Day was special because we also dedicated Lily that day. Would you look at this? An actual photo of me AND the kids. I happen to like this photo too. Smiling and posing like I'm a model...only I'm breastfeeding my baby. I love that someone captured this moment. My NEW goal is a photo each Mother's Day with all my children. It probably won't always be picture perfect, but it will be us! Lilybug has been sick today. In fact, she's having a very hard time falling asleep tonight. I'm really hoping that she's more herself tomorrow. We don't have much planned, but even doing nothing will be nicer with a happy baby. Happy Mother's Day friends!!! And don't forget to say a prayer for those this year who didn't get their wish to be a mom, and those mom's who don't have their children on this earth any longer. They are close to my heart this year as I reflect on how blessed I am. 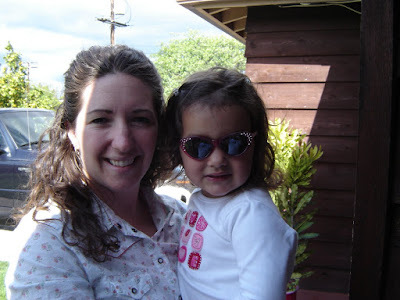 If you missed it...check out yesterday's post on Motherhood also.